That means that as of 12:00:01 AM, November 1st, stores have already stocked their shelves with upcoming “holiday” goods. Actually, I’m hearing stories from shoppers that the seasonal winter stuff was readily available right after the Canadian Thanksgiving holiday in early October. It all sounds a little too neurotic for me. The world needs to take a collective chill pill. That said, the comic book industry is no different than what goes on at your local retail mall. Throughout November and early December, all the big gift-giving sort of books get published – and make no mistake, this week starts it all off! There’s lots of stuff available, all at different price points. If you’re looking for a quick read, I’d suggest Uncanny X-Men #1, a new, monthly series from Marvel Comics featuring the always amazing artwork of Carlos Pacheco. It’s only a few bucks. If you want to sit down with something for a while, pick up the deluxe hardcover collection of Grant Morrison and Sean Murphy’s Joe the Barbarian mini series. It’s a bit steeper at $30 for 224 pages, but it’s well worth your money and, more importantly, your time. Stunning stuff. Whether it’s a gift for a loved one or for your own reading pleasure over the upcoming holiday season, pick up the Absolute Sandman Volume 5. What’s that? You thought DC had finished collecting all of the Sandman stuff after four huge Absolute volumes not including the Absolute Death <a-hem> sister book over the last few years? Not a chance. At an enormous 512 oversized pages in length, there are two beautiful and essential stories collected here: the Eisner-award winning Endless Nights and both the prose novella and comic book adaptation of Dream Hunters. Rounding things off is the Sandman Midnight Theatre one-shot, now tough to find (unless you look in my comic book collection)! Artwork by masters such as Milo Manara, Yoshitaka Amano, P. Craig Russell and Frank Quitely, among others, will leave you breathless. Priced at $100 (though if you shop around a bit, you’ll probably find it a little cheaper), the Absolute Sandman Vol. 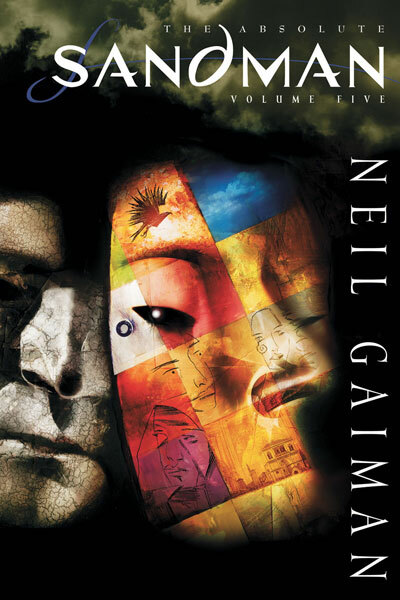 5 will either complete the Sandman collection on your bookshelf or make you a new fan of the series. In either case, these stories make for great literature and enjoyable reading by the fireside over the colder months of the year. Make the Wednesday Run this week and splurge a little. It’s that time of year and you’ve been good. You deserve to treat yourself – or someone special deserves to be treated by you! Previous Post Previous post:Uncharted 3: Drake’s Deception comes out today and you NEED to play it.